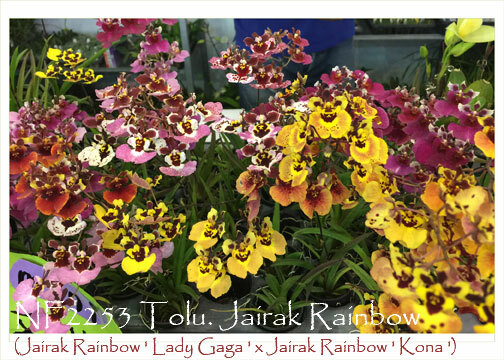 Rainbow is the perfect name to describe this miniature member of the Oncidium family ! The result of a very successful sibbing of a rich yellow with a pink, the resulting color range has been enormous, going from bright yellow to orange, sunset, tan, salmon, pink and red. We’ve even seen some whites as a result of its species parents. Tolumnias do best when allowed to dry between waterings, are extremely heat-tolerant and can re-flower from their cut spikes. 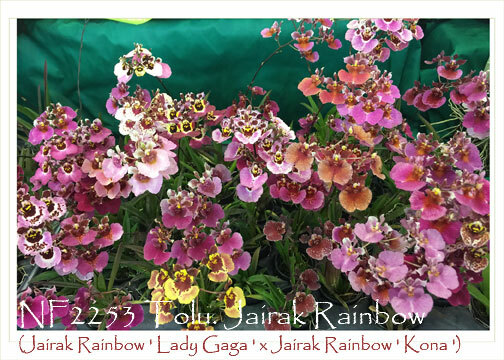 A fantastic space-saver that will allow you to grow several of this little wonder for the “rainbow” of colors they have been producing. Highly Recommended!